I lost my External Hard Drive on day 238 (25 August 2008) and I spent all night to get 1TB worth of RAW files off it. I finally gave up and bought a new 1TB drive but it was another 24 to 48 hours before I could transfer all my RAW files across from various backup media and rebuild my Lightroom Catalog. I connected DPP to my CF Card in order to pull off this sunset photographed at the Carnival. 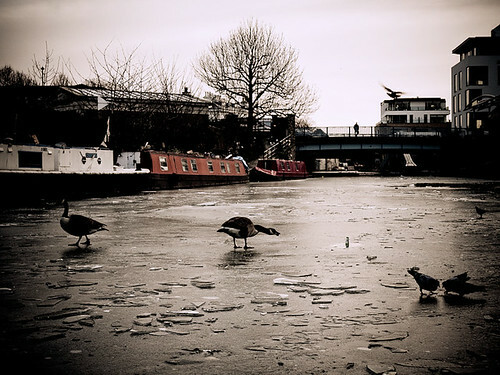 It is the Grand Union Canal as it passes through Ladbroke Grove in West London. 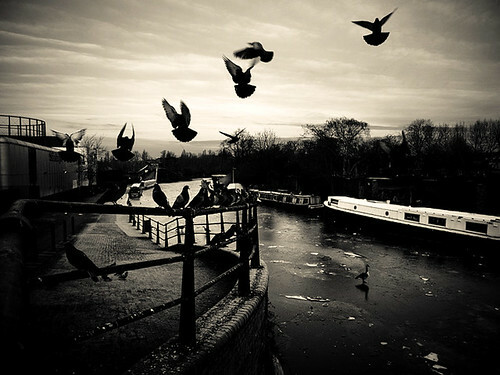 "The Grand Union Canal in England is part of the British canal system. Its main line connects London and Birmingham, stretching for 220 km (137 miles) with 166 locks. It has arms to places including Leicester, Slough, Aylesbury, Wendover and Northampton." 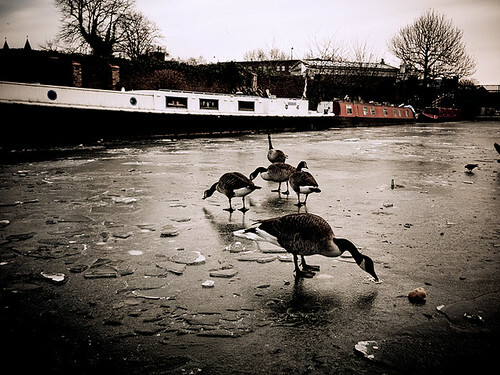 Pictures taken of the Grand Union Canal on the weekend of January 10 / 11 during the great freeze. The canal paths were too slippy for me to get too close so I have used the zoom here. I also learnt that the LX3’s battery can’t cope with the cold when it died midway during the shoot. 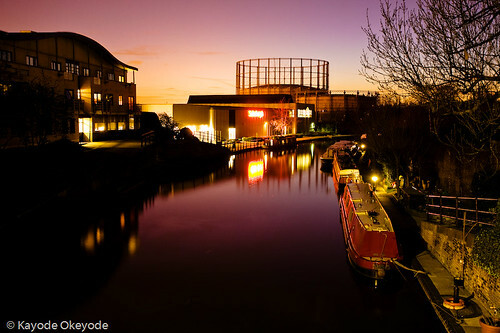 Twilight image of the Grand Union Canal as it flows through Ladbroke Grove in West London. 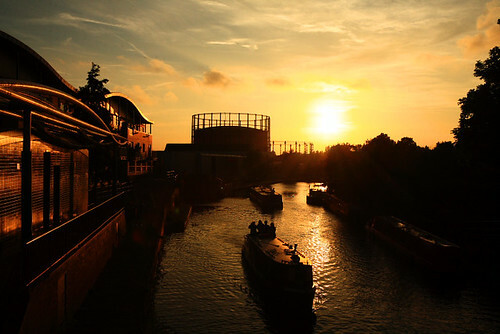 According to WikiPedia: "The Grand Union Canal in England is part of the British canal system. Its main line connects the two largest cities in England, London and Birmingham and stretches for 220 km (137 miles) and has 166 locks." It was formed between 1929 and 1932 by amalgamating many old canals which were built between 1857 and 1932.